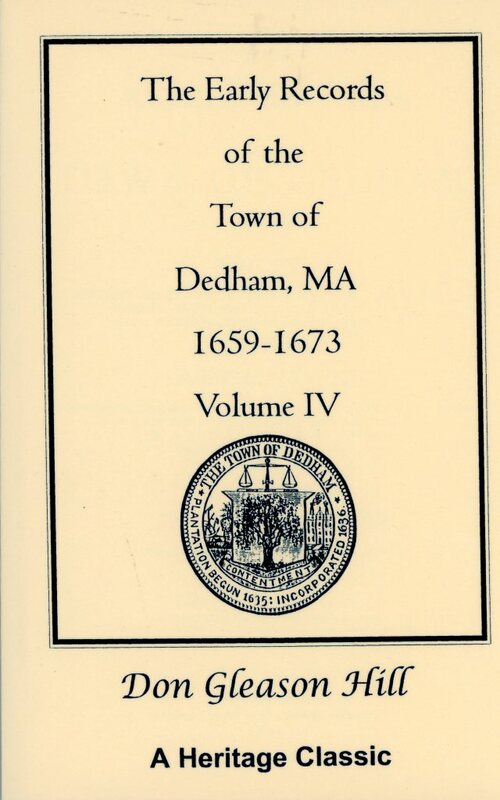 This volume contains a complete transcript of the Town Meeting and Selectmen's Records contained in Book Three of the General Records of the town. There is an index of names as well as an index of subjects. Published by Heritage Books, Inc. Soft cover. Massachusetts residents add 5.25% sales tax. We are currently experiencing problems with our gift shop. Please call us at 781-326-1385, Tuesday – Friday, 9am – 4pm EST or email society@dedhamhistorical.org to place an order via credit card. We apologize for the inconvenience.